The BEPIT toolkit has been generated from four years of practical research, funded by Innovate UK. The research was carried out between 2013 and 2017 on a new build development in Oxfordshire. The central aim of the research was to develop a toolkit of practices to help the construction industry to reduce the performance gap. The development we studied set high standards of energy efficiency and employed novel technologies and construction systems, making it an ideal test bed. We established BEPIT as an action research project, where industry and expert researchers worked together to find practical solutions to build better homes. Our research methodology included cycles of data collection, targeted interventions and detailed evaluation periods; this was only possible because we studied a large, real-life, multi-phased construction project over a long time. It enabled us to trial and refine solutions in the real world, in order to develop a toolkit that works. Potential issues and process pinch points were initially modelled for the new homes using Failure Mode and Effects Analysis (FMEA) and process modelling – concepts that are already well established in the manufacturing and aerospace industry. We refined these models through a combination of site observations and performance testing, providing a robust basis for identifying construction processes critical to energy performance. Where possible, solutions were implemented immediately and their effect monitored, often with very positive results. In all cases, the issues, cause, effect and recommendations were captured for use in the toolkit, where they form the evidence base for our seven clusters of performance-critical issues. 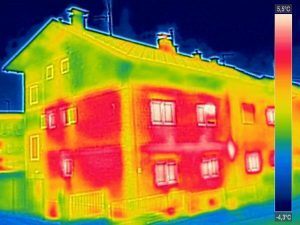 Most industry research estimates the average (UK wide) performance gap to be around 50%, where the measured heat loss is exceeding the design prediction. Our research was consistent with that but also found that the gap itself is made up of multiple, minor frequently occurring issues (affecting up to 60 sub- processes). These issues are often related or occur around similar areas, so we’ve arranged them into seven clusters of performance critical processes. 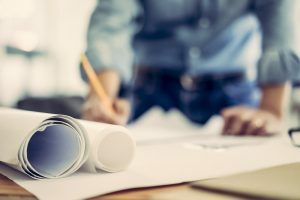 By working through these seven clusters proactively at design, procurement and construction stages, root causes were addressed effectively and it became possible to avoid issues occurring altogether (confirmed by our on-site testing). Based on six co-heating tests we conducted on our trial sites (where the Toolkit was only partially employed), we were already able to shrink the performance gap by between 15-20%. We are confident that subsequent testing will show a more significant improvement.